Melinda Colson and Evan Tarlow are in love. And have been for some time without progressing towards Melinda's desirable goal of marriage. Melinda is sure that they are ready to wed while Evan is convinced that he must be able to financially support a family before he can propose. Thus, a stalemate ensues and Melinda, a lady's maid by occupation, once again leaves Bridal Veil Island to serve her mistress and anxiously await the next visit to the island. When Melinda hears that a hurricane has damaged Bridal Veil Island, she casts caution aside and leaves her position to find Evan. Evan is safe, but he once again stifles Melinda's efforts to push him toward marriage. As Melinda and Evan's relationship struggles, danger lurks nearby in rumors of a presidential assassination plot. Will Melinda and Evan's love survive? To Love and Cherish by Tracie Peterson and Judith Miller is a sweet love story, but I recommend renting it from the library before purchasing. Personally, I found it difficult to connect with the two main characters, Evan and Melinda, as they did not seem realistic to me and I never came to like either one. I actually liked the supporting characters better than the main ones. I also felt like the plot moved a little slow and even though it picked up in the end, I was never riveted to it. That being said, I did like the somewhat unique plot of a love relationship that was already established and needed to be maintained while waiting to move to the next level. 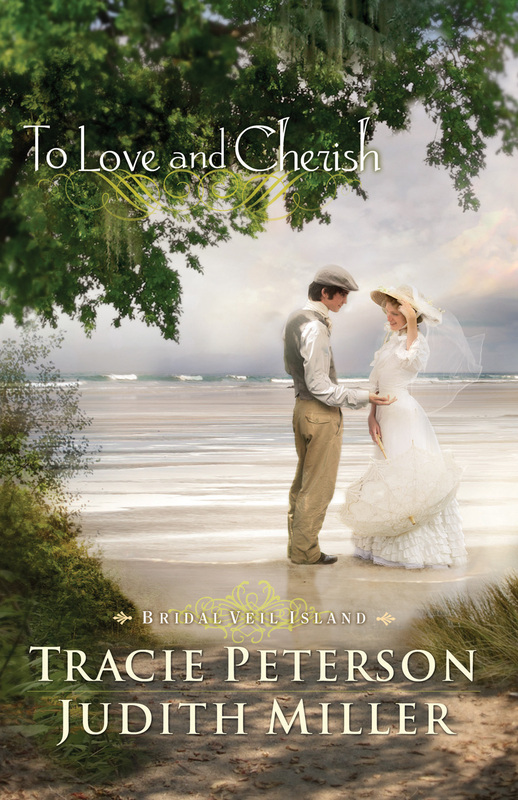 Click here to visit the publisher's website and read an excerpt from To Love and Cherish by Tracie Peterson and Judith Miller.